In this blog it’s important for you to remember the Ninja Mantra: we are all the same yet we are all different! Just incase you’re not sure who the Ninja is, that’s me. I love to move in mysterious ways in everything I do with education, living and learning. I am not a lover of labels, so before I continue, I need to set the record straight. Even though these terms have the word ‘disorder’ in them, that’s what educationalists and health teams recognise as part of Special Educational Needs & Disabilities (SEND), I prefer in the context of education not to label any child/learner because we are all unique and have of our special ingredients. Labels are easy for some to use rather than their real names, it’s not good. So, wouldn’t it be better to say that someone has ADLLD or ADHLLD? Attention Deficit Learning & Living Difference or Attention Deficit Hyperactivity Learning & Living Difference. It’s just my preference and I believe it makes for a better understanding of the person as a whole. More and more teachers are being faced with challenges in mixed ability classrooms. I once asked a group of teachers the following question: which one of these children may have ADD/ADHD? (a) The hyperactive child who talks nonstop, can’t sit still and is physically ‘jittery’, (b) the quiet dreamer who sits at her desk and stares off into space completely tuned away from everything and everybody, or (c) both (a) and (b). And the correct answer is … (c). Inattentive. Not hyperactive or impulsive, but it almost seems as if they are in a daze at times. Hyperactive and impulsive. They are fully able to pay attention, even if they seem anxious or maybe slightly stressed. Inattentive, hyperactive and impulsive (the most common form of ADD/ADHD). These students will have ‘episodes’ of extreme behaviour and physical changes which can often be alarming for both teacher and child. Children who only have the inattentive or daydreaming symptoms of ADD/ADHD sometimes become ‘the invisible ones’ as they do not display outbursts or different or challenging behaviours. As a result they can become quite withdrawn. However, inattentiveness does have consequences, such as getting into hot water with parents and teachers for not following directions or instructions, underperforming in school and clashing with other children over not playing by the rules. When tasks are repetitive or boring, children with ADD/ADHD can quickly tune out (I know I would if tasks were boring, so maybe it’s not the fault of the child but the teaching content!). It’s not that they can’t pay attention – when they are doing things they enjoy or hearing about topics they are interested in they have no trouble focusing and staying on task. So the teacher has to work on the ‘tune in’ theory, which means finding out what makes them tick. 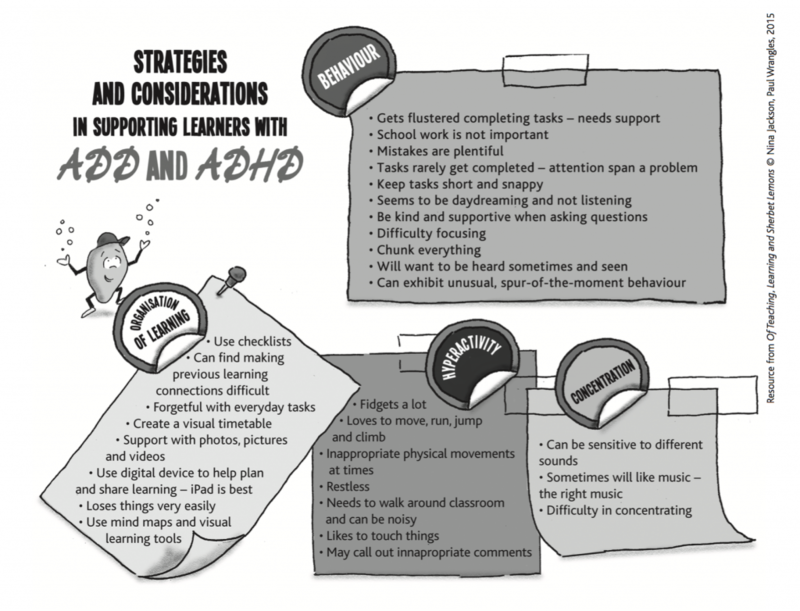 Organising their daily school schedule and work commitments is harder for children with ADD/ADHD than it is for most children. Helping them to develop time management strategies is a good way of supporting them with their ‘busy thinking’ which is how it feels for many of them. Most of us need some kind of management system in our lives otherwise our own thinking and planning can go all over the place. It’s like trying to think in the middle of a crowd of a million people with them all making a noise at the same time, rather than being able to think quietly or deeply on your own in a wide open space. Keeping focused or on track is another common problem because they skip necessary steps and procedures as their brains are working overtime. Concentrating, thinking and unravelling what questions are being asked can be very tiring, especially if there are things going on around them. It is important, therefore, to make a quiet space or a thinking space for these children so they have the opportunity to gather their thoughts in a more methodical way. They can often be careless – sometimes making mistakes but at other times just digressing off on to other things. They give the impression that they can’t hear you when you are talking to them. Following instructions can be difficult – they need them in a more a prescriptive form like bullet points. Distraction is far more exciting than being focused. They like to have lots of interesting projects or tasks on the go simultaneously. They lose things a lot! The finer details of things get missed or unheard. Keeping still is not an option – it’s all about go, go go. This could mean jumping, running or even climbing over objects, often at the most inappropriate times and in the most inappropriate spaces. They find it hard to be quiet for long periods of time and can be guilty of talking non-stop. Relaxation can be both a chore and a bore. They can unexpectedly leave their seats or working areas where everyone else is quiet or working. They may make odd sounds or noises that may be socially unacceptable in certain situations or ask inappropriate questions about the learning (although I used to do that a lot in boring lessons at school!). They have a short fuse and a quick temper, and occasionally can react to situations in an uncontrollable manner. They can interrupt conversations because they want to be the centre of attention. Waiting their turn in a game or line can be frustrating – they will want to do it there and then (or they feel they might explode). They make inappropriate comments at the wrong time, often blurting out what they are thinking without considering the consequences. They will guess at an answer rather than taking the time to solve a problem strategically. They find it difficult to listen to others and don’t wait for the whole question to be presented. Their emotional intelligence is poor and they can be unaware in social situations. They can’t keep their emotions to themselves – angry outbursts and temper tantrums are very common. There are also many positive effects of living with ADD/ADHD, so it is important to think about the ‘disorder’ as simply another living and learning difference and not a disability. Living with ADD/ADHD has nothing to do with intelligence or talent. These children can often be artistically gifted and have as sound an intellect as the next person. There are many great traits to be found in these children, so it is vital that you to tune into them in order to help them get their own thinking focused for learning. Once you do, you will see how the classroom can be a very rewarding experience, both for you as the teacher and for the ADD/ADHD learner. For example, they can be extremely flexible with their thinking – because they have to consider so many options at one time they can be very open to different ideas, so will often give you multiple answers or responses. Some teachers see this as a real gift and talent. 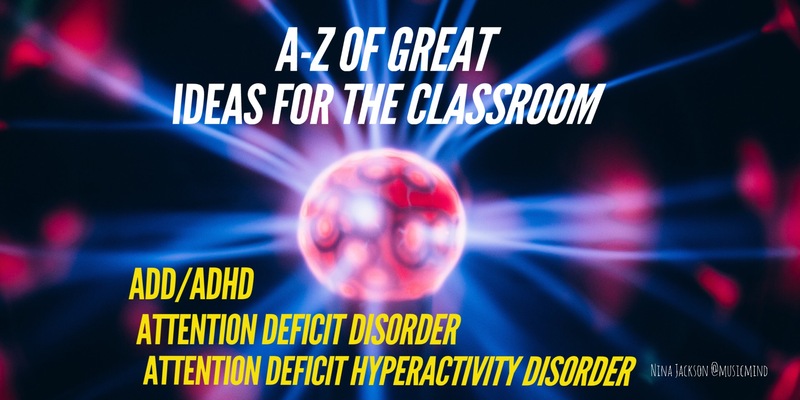 I used to regard children with ADD/ADHD as ‘hot thinkers’ – the need to share their answers immediately was like a burning fire inside, so getting the response out in the open means they can cool down their thinking. Their enthusiasm and spontaneity means life with them is rarely boring, and they can have very lively, lovely and interesting personalities. They can also be extremely eloquent and great fun, but you do need to tap into and harness their high energy. When they are motivated the energy and drive of ADD/ADHD children is magical. They can work hard, play equally hard and just want to succeed at everything – like most other children. However, they can take the competitive aspect of a task very seriously, and if they don’t meet their own expectations they can often become extremely frustrated, sometimes angry and aggressive too. It can be very difficult to get them away from a task or activity which interests them, especially if it’s an active one – you’ll have to prise them away from it sometimes! The four-to-one positive/negative praise system will come in very handy with these children. The creativity of a child with ADD/ADHD often has no boundaries, so they can engage in multiple thinking scenarios all at once, and their imagination is really wonderful. The child who daydreams and has ten different thoughts simultaneously can become a master problem-solver or an inventive artist. Children with ADD/ADHD may be easily distracted, but equally they notice what others don’t see. And what others don’t see can often be the spark for new ideas and thinking, which can work brilliantly in class or in group work. Being different – seeing and doing things differently – keeps us on our toes as teachers too! Make sure that any child who has ADD/ADHD has an EHCP (Educationa Health Care Plan – England only) which is reviewed by the school and the parents. Where possible, the pupil should have personal input into the plan. Essentially, you want to make sure you have the correct diagnosis, rather than the school labelling the child with ADD/ADHD when there has been no formal medical assessment. This will then give you information about the type of ADD/ADHD that you need to plan for. Accept the child for who they are – do not attempt to change or mould their personality or behaviour. Remember the Ninja mantra: we are all the same and yet we are all different! Develop positive, emotional and academic relationships with the parents/carers. They will really appreciate this. Sometimes parents use great strategies at home that can be applied in the classroom and vice versa. How about creating a ‘celebration journal’ that could be shared between home and school? Ask for help if you need it – speak up and do not just soldier on. That’s not fair on either you or the child. Use the child as a resource and relationship model. Ask them: what lesson was the best they have ever been in? What was their worst ever lesson? How were the two lessons different? Try to unpack the child’s learning preferences with their help. Does the child know why they are a little different? Can they explain it to you? Can they suggest ways that their difficulty might be made more manageable within the school setting? ADD/ADHD pupils need structure, so lists help. For example, be ready to hand out a list of the processes that are involved in writing an essay or how to behave when being told off (that can be of great help!). When a series of instructions need to be followed, it is likely that these will need to be presented more than once and in more than one way. Make sure you give these to the teaching assistant too, maybe as prompt cards or list cards. Eye contact is a good way of bringing a pupil back on task – using a supportive look, not a negative one. Seat the child near to your desk and make sure they are within your line of sight for most of the time. This will encourage them to stay on task. Give them a doodle pad too as this will help them to focus. I have also used adhesive tack, Koosh balls or stress balls in the past to help them relax. Use alternative methods of recording. Remember, what matters is that the child processes the information you impart. The method of processing can make a real difference to the child. Pen and paper is simple and convenient for the teacher, but if it doesn’t work for the child then consider alternatives such as mind maps, graffiti boards, sticky note lists, audio equipment or note-taking on a digital device. Frequent feedback helps to keep ADD/ADHD pupils on task. It is also very useful for letting them know what is expected of them and if they are meeting expectations. This means simple, straightforward target-setting that is achievable. Naturally, praise will be very encouraging and, done well, helps to build intrinsic motivation – and we all need that! Break down larger tasks into smaller tasks or chunks. ‘Chunk it’ not ‘clunk it’ – if there is too much clunking then the child will get frustrated. Be humorous and have fun – anyone who laughs during learning is a happier and more motivated individual. Mind maps are brilliant so use them. Also try out some of the mind map apps or websites such as Popplet or SimpleMind+ (there’s an app too as well) Popplet has the advantage of allowing you to integrate text, images and handwriting too. What fun! Try to make tasks game orientated. Repeat, repeat and repeat in a calm way, so that ADD/ADHD children have a chance of remembering. The learning of older children will be enhanced considerably if they have a good idea in advance of what they will be learning that day. Here’s your chance to integrate a bit of flipped and blended learning! Be on the lookout for things to enjoy about the child. For example, their energy and dynamism can be very beneficial for the group or class. Try to pick up on their talents and nurture these. As they have taken many of life’s knocks, ADD/ADHD children tend to be resilient and are good at bouncing back, so they can be generous of spirit and always glad to help out. Here is a visual resource you may want to use too. Special thanks to Paul Wrangles, @sparkyteaching for the illustrations. 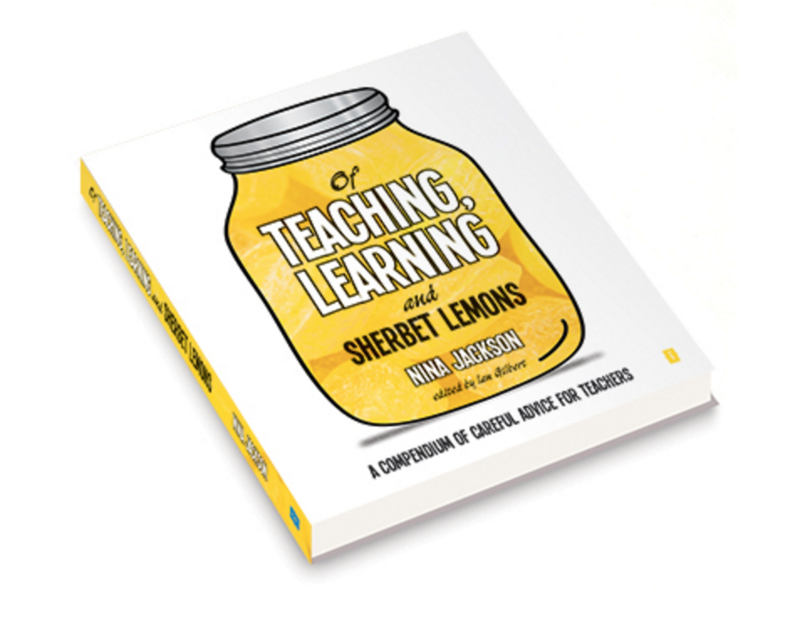 The resource comes from my book “Of Teaching, Learning & Sherbet Lemons’ which you can find here. Here are some great videos to help you understand what it’s like. Here is Part 2 which is also a great one. If I can be of any help of support with your needs in schools, at home or with individuals, do get in touch here or contact me on Twitter @musicmind. Alternatively just leave a message on my blog. Remember the Ninja Mantra: We are all the same and yet we are all different!